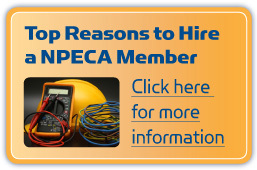 Members of the Niagara Peninsula Electrical Contractors Association (NPECA) and the International Brotherhood of Electrical Workers (IBEW) Local 303 are committed to training the next generation of tradesmen/women. 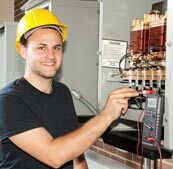 All apprentices within our system are monitored by the Local Joint Apprenticeship Council (LJAC) composed of volunteer contractors, IBEW members and a Ministry of Advance Education and Skills Development representative. Our apprentices have competed successfully in Provincial and National Skills competitions.